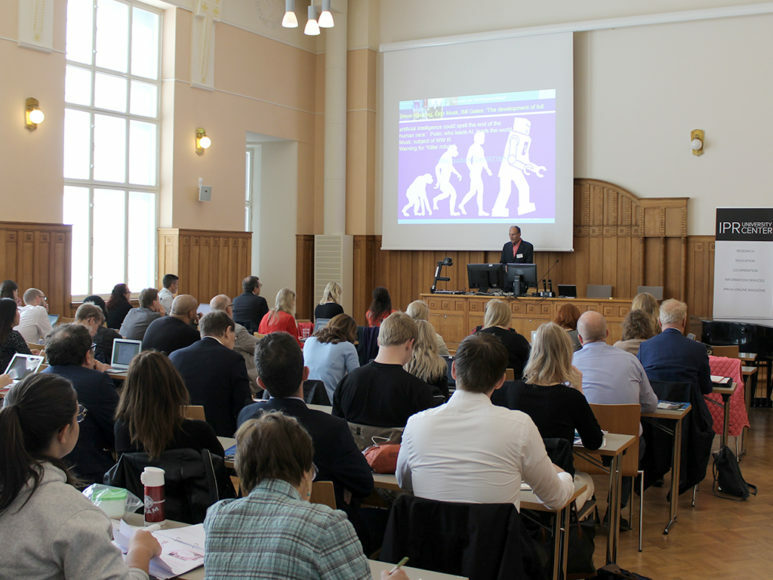 IPR University Center’s summer officially began when around 30 excited students from around the world came to Helsinki for the fifth annual IPR Summer School. 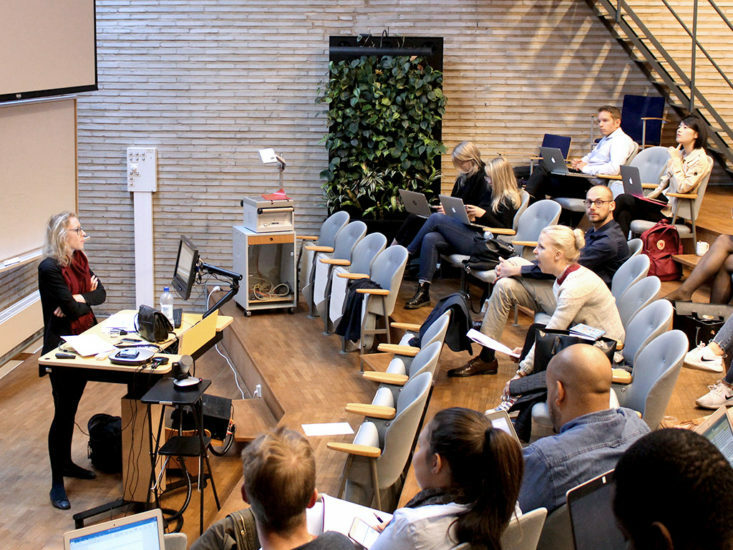 The IPR Summer School week started on Sunday 3 June, 2018, with the opening ceremony at Hanken where Professor Niklas Bruun from Hanken School of Economics, director of IPR University Center, welcomed the guests. 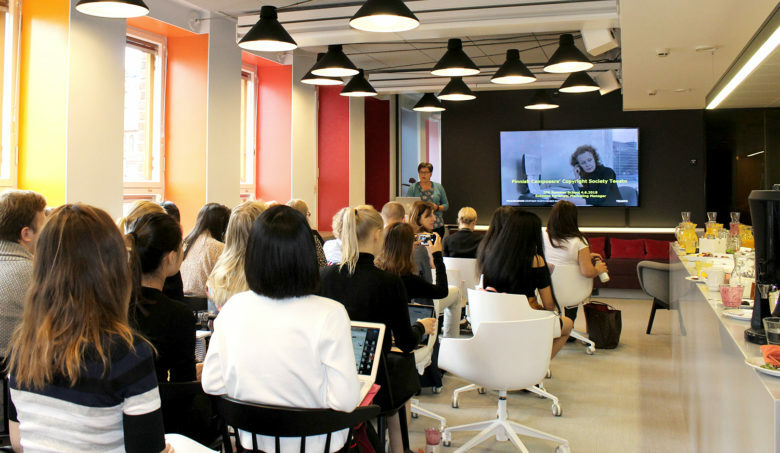 Professor Virpi Tuunainen from Aalto University gave a speech about Boundary Fluidity and the Sharing Economy, after which the participants could get to know each other over snacks and drinks. The week’s program included seminars and events for all participants, but some sessions were designed especially for practitioners whereas a few parts were targeted to students in particular. On Monday, the students had a chance to visit Teosto, Finnish Composers’ Copyright Society, for a relaxed breakfast seminar. It started with a presentation explaining what collective management organisations are and why they are important. The presentation emphasized that the environment has changed because the physical music markets (like CDs) have almost vanished and everything has moved online and to streaming. 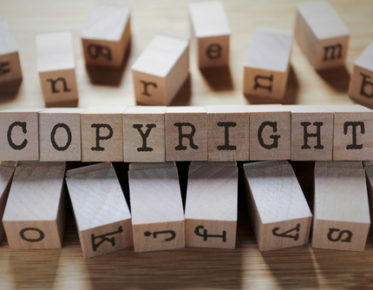 In addition to the change in the market, also the changing regulation in this area and the future of collective copyright management were discussed. Physical music markets have almost vanished and everything is online. Topics discussed in the breakfast seminar also included the need to support new type of media usage in licensing and how online licensing generally works. The session ended with a brief overview of the innovations and projects that Teosto has taken part in. The current technology trends in the music industry, such as real-time listening, decentralization and using blockchain solutions will further change the market and the environment where copyright protected works are being used. The theme of the afternoon was Nordic IP and Copyright Law. In the seminar, the students learned how the Nordic legal system works and how the Nordic countries have cooperated in the area of IP. In addition, Professor Ole-Andreas Rognstad from the University of Oslo explained the differences and similarities in the Nordic copyright laws whereas Professor Rainer Oesch from Helsinki University introduced a few landmark cases in the Nordics. The day continued with a visit to Aalto University’s Startup Sauna, Urban Mill and Design Factory. The students could, among other things, try out an online game How to Destroy a Startup and develop ideas on how IP could destroy a newly emerged business. On Tuesday, students, scholars and IPR professionals were invited to a full day seminar on artificial intelligence (AI). 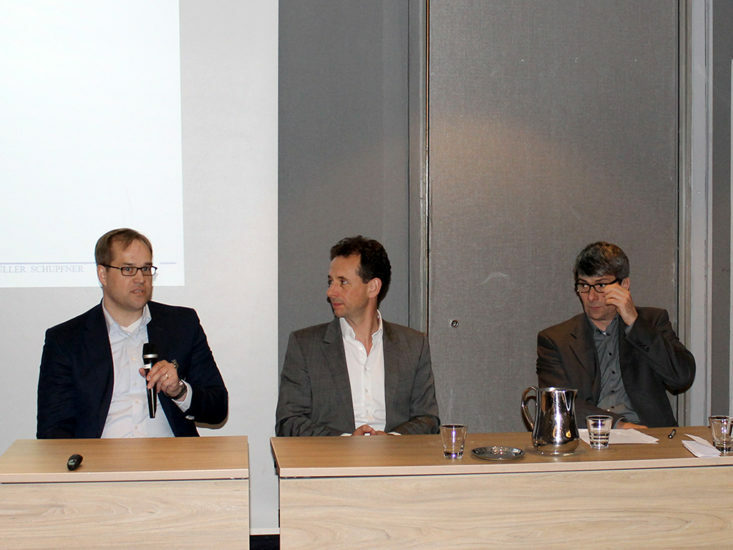 Specialists from Finland and abroad discussed for example ethical and privacy aspects of artificial intelligence (AI) as well as authorship and inventorship. 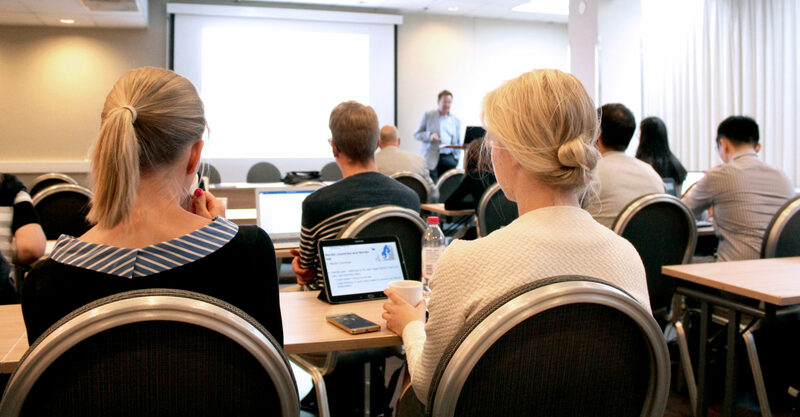 You can read more about the seminar in another article (in Finnish) in this same issue of IPRinfo. In the AI seminar, Professor Tanya Aplin, King’s College, talked about inventorship. Two days later, she examined another issue, talking about trade secrets and notions of misuse/use and derivative products/services from an EU perspective. Aplin highlighted that when discussing differences between acquisition, disclosure and use, one should bear in mind the rationale of trade secret protection and the need to not undermine patent protection. We must bear in mind the rationale of trade secret protection and the need to not undermine patent protection. Next day, presenting the change of the nature of legal professions owing to technology, Professor Burkhard Schafer from the University of Edinburgh focused on the good, the bad and the ugly side of legal tech tools such as image recognition and e-lawyering. He also talked for example about software to provide legal services and alternative dispute resolutions. Technology has made the practice of law easier, but Schafer also pointed out the legal risks. Professor Rob van den Hoven van Genderen from VU University of Amsterdam continued with the theme discussing e-courts and the tension between electronic courts and the right to a fair trial. Wednesday started by analysing copyright and trademark cases under the supervision of LL.D Anu Pitkänen. The students examined and discussed the details of two recent cases: the U.S. Supreme Court case on the copyright of the design of cheerleader uniforms (Star Athletica LLC v. Varsity Brands, Inc., et al, No. 15-866) and the Advocate General’s opinion to the CJEU case on KitKat’s three-dimensional mark (joined cases C-84/17 P, C‑85/17 P and C‑95/17 P). 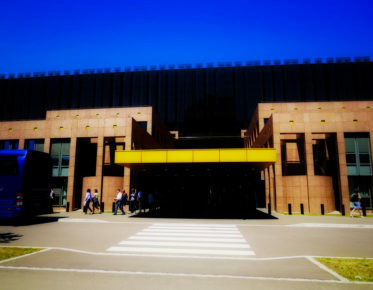 Wednesday afternoon was spent with the theme Mediation and Alternative Dispute Resolution (ADR) in IP, where experts from abroad were invited to give their views on the subject. Richard Vary, partner at Bird & Bird UK, explained the steps in arbitration and how IP portfolio disputes often are dealt with. He also outlined how portfolio strength can be determined and whether multi-party arbitration could be an option in the future. What made this presentation especially interesting for students was Vary’s way of presenting cases from his own experience and cases highlighted in the media. Panel discussion on ADR and IP disputes. From left: Pekka Salomaa (Novartis Finland Oy), Richard Vary (Bird & Bird) and Peter Müller (Müller Schupfner & Partner). Peter Müller, Partner at Müller Schupfner & Partner, discussed the power and potential of mediation for resolving IP disputes. Being the Chairman of the Mediation Association of German Patent and Trademark Attorneys, Müller had a solid basis to present the advantages of mediation over court litigation. He also explained the different steps of the mediation process. The day ended with a Mock Mediation Case, where experienced mediators showed what mediation could look like in practice by using a fictional case. The IPR Summer School ended on Friday with a patent case clinic led by Professor Nari Lee. She closed the event by summing up the week. The Summer School offered the students an opportunity to enhance their knowledge about IPR. 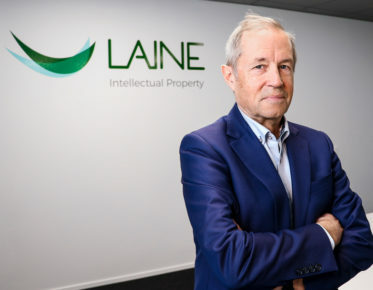 They received new insights to various current IP topics including artificial intelligence, solving disputes by alternative ways and trade secrets. One of the best parts of the IPR Summer School was the people who took part in it. After the daily program, the students got to know each other while exploring summery Helsinki. The students were able to make new friends, discuss their areas of interest and compare different national legislations such as the differences in trademark protection between Nordic countries and China. We are already looking forward to the next IPR Summer School! The authors worked as trainees at the IPR University Center in the spring and summer of 2018. The annual IPR Summer School arranged by the IPR University Center includes a range of different events and seminars. The IPR Summer School targets academics, practitioners and students from all around the world. It provides an opportunity to discuss and share thoughts with the world’s leading experts, as well as to expand professional networks. The students receive 5 ECTS by participating in the whole program and fulfilling the required assignments. Learn more about IPR Summer School here.